Has 2017 just flown by for everyone else too? I can’t believe Easter is right around the corner. I figured I would do a round-up of some fun Easter Basket Ideas. I have always made a fun basket for Brylee, with things I know she either “needs” or “wants” as opposed to buying a ready-made basket with stuff she will probably play with once and be over it. Pipcorn Popcorn: This popcorn is so good guys. Its half the size of a normal kernel of corn and is better for your teeth! Plus I don’t stress quite as bad when Brylee eats this kind. So far we have tried the cheese (which tastes SO MUCH BETTER than the kind that comes in a tin at Christmas!) and sea salt, both of which are amazing. My Fruit Shack: I found this on Instagram (I find too much stuff on there…) and knew I had to try it out for Brylee. She LOVES fruit snacks. She would definitely argue that they are a food group. I figured if we make them at home at least I would know what was going into them (and using this mix cuts down on the sugar compared to regular Jello). 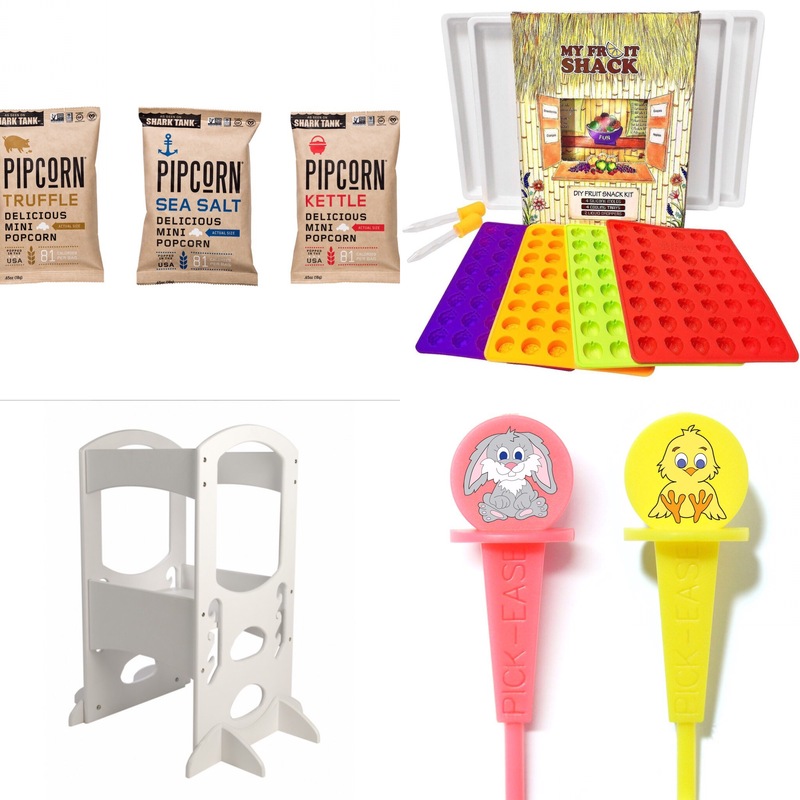 Pickease Picks: These are some of Brylee’s go-to utensils when eating her meals. We actually don’t have the “Easter” ones yet but aren’t they fun?! You can use code “yummy” for 15% off. Learning Tower: OK I know that this one is not really a “fit in the basket” type present, but if there is one thing that you splurge on for your kids, this is it. We have had our’s over a year and Brylee still uses it daily. We leave ours next to the island, so if Brylee decides she wants to help me or do a project, I am not constantly moving it (or moving chairs) around. These are awesome because they are entirely enclosed so I don’t have to worry about Brylee falling off because there’s 13 million other things to worry about while cooking with a toddler. Bubble Bath: There are so many great bubble baths out there that we love, one of our favorites is Tubby Todd. Try it, you wont be disappointed. Hippo Bath Spout: Nuby sent us one as part of our Parent Blogger campaign. Water shoots out from both his mouth and nose. Brylee thinks it’s the funniest thing when it comes out of his nose. Bunny Towel: Ok can we just talk about the fact of how cute this bunny towel is? We have had the same hooded towels for Brylee since she was a newborn. Most of them have holes in the hood and they are way to small for her. It is most definitly time for an upgrade. 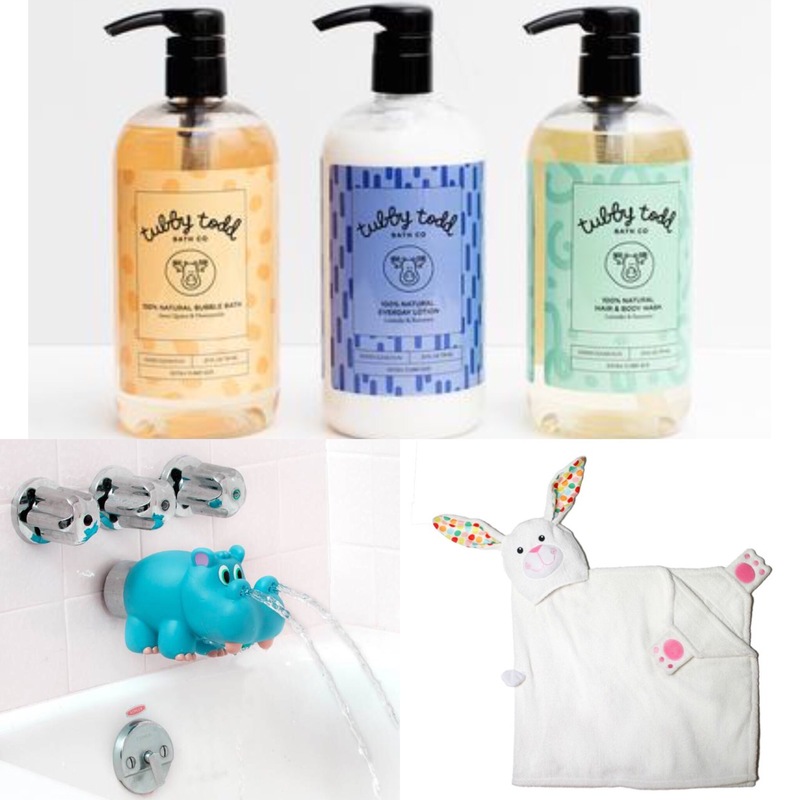 Plus right now the bunny towels are 30% off and the rest of the site is 20% off (no code needed, discount shows up in cart). 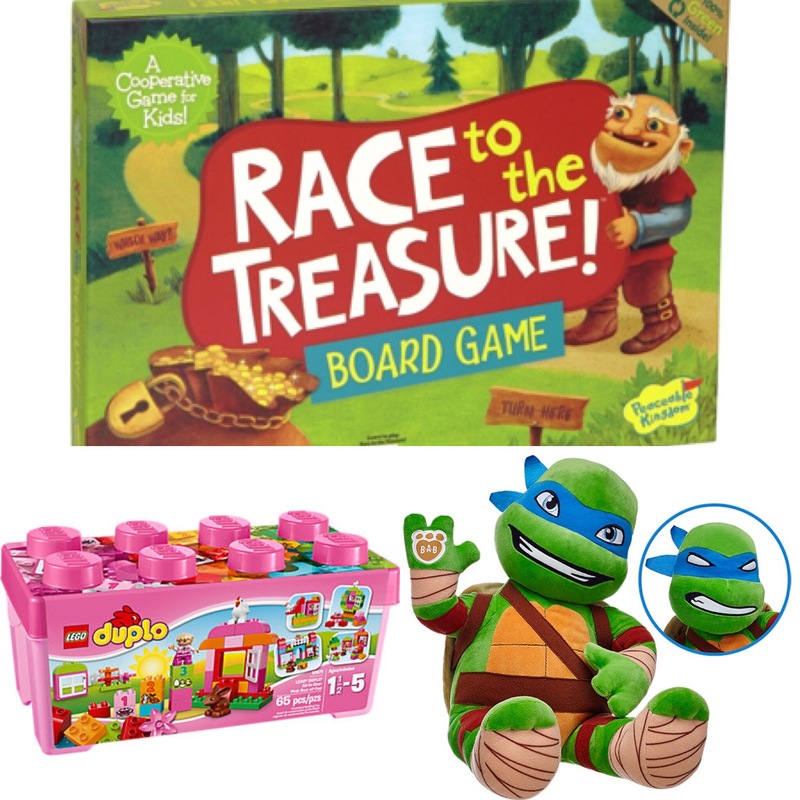 Race to Treasure Island game: I have seen this brand of games at Target before but never bought any. I now need them all! Brylee LOVES to play board games, but hates losing to Dustin and me. These games are great because everyone works together as a team to win the game (while still having individual turns). This is one game that keeps her attention and she will ask to play it over and over. Legos: Brylee is really into legos lately and has asked for more. I think this one would be a fun set for Easter because of the bunny! Name Puzzle– Santa brought this for Brylee for Christmas and it still is a favorite. I did a two name puzzle to help with last name letter recognition. Definitely a fun way to incorporate learning without realization. Latchy Catchy– If you don’t buy this for your kids, buy it for yourself. 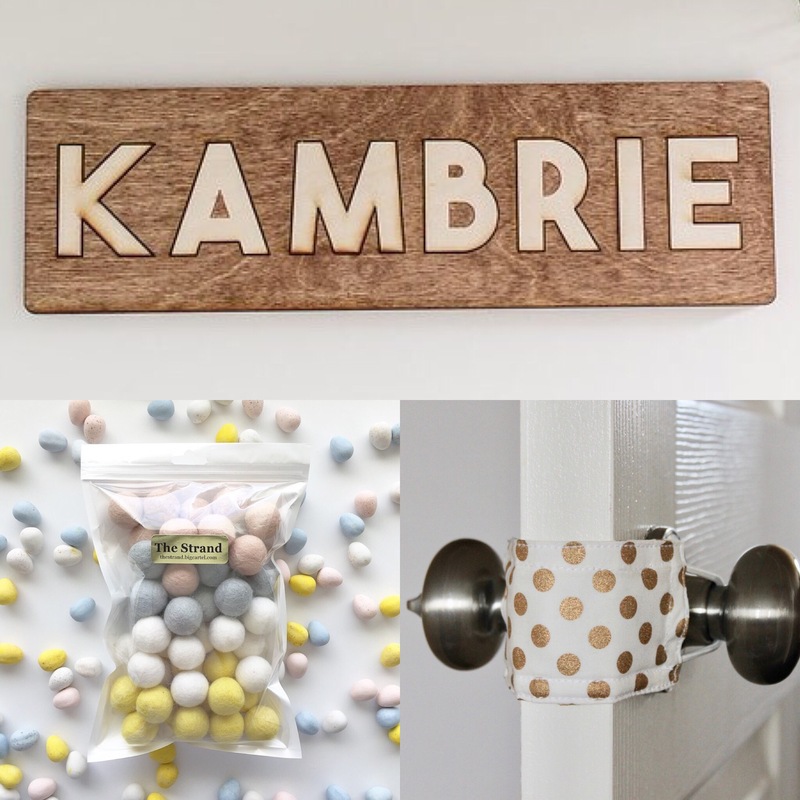 If you have a door slammer or a three-year old who likes to “lock mom out of her room” because she thinks its funny you need this. We have one on each of our doors and haven’t looked back since. (Use code “MARCH2017” for 25% off). Felt Ball Garland: Felt ball garland is all the rage right now. We actually have this one in Brylee’s room and LOVE it. I need one of every color for every room now! Plus how perfect are those Cadbury egg colors for Easter?! Use code “FIBRESHARE2017” for 25% off until March 31st. Blanket: Read this post and you will see why you need to add one to the basket! You will not regret it. Bamboo Meal Set: We have a lot (A LOT) of toddler feeding products and I love them all, but this is a great deal on a starter set. You get a bamboo plate, bowl, cup and silverware for $20. Bunny PJ’s: Brylee has a few pair of Hanna Andersson pajamas and let me tell you they are amazing. I wish that I would have found them sooner (like when she was a newborn!). They are a thicker material but super soft. I love them! 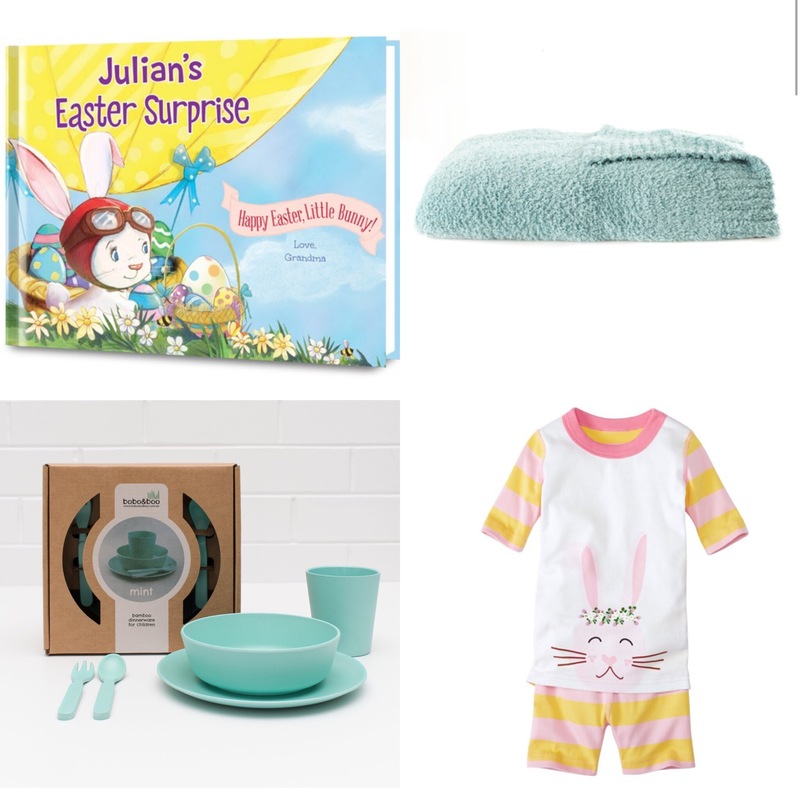 What is the Easter Bunny bringing your kiddos?